Restaurant review #61 – We were in Utrecht for the vegan festival VegfestNL (see our review here), and the day afterwards, we went for lunch to Bagels & Beans in the city center. 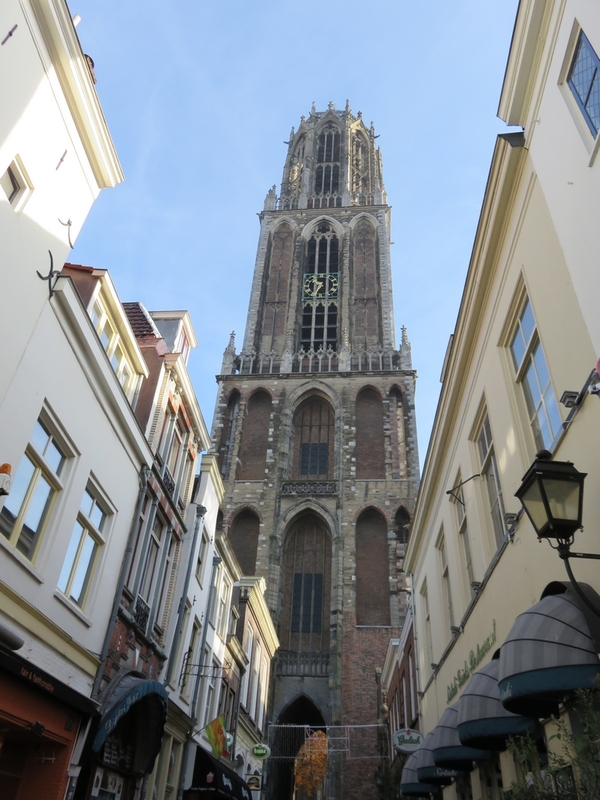 Utrecht is not that far from Bruges, only about 220 km. Bagels & Beans is a chain with several locations throughout the Netherlands. 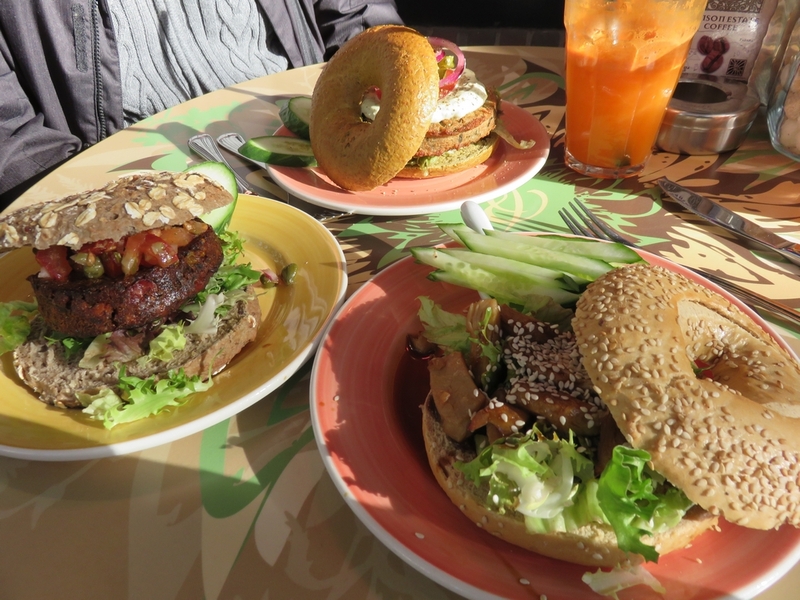 There’s always something vegan available, and on our visits staff has always been very friendly to check for ingredients (see previous review of Bagles & Beans in Alkmaar). Since mid October 2015, they also have two vegan burgers standardly available: the Dutch Weedburger and the Chili burger from Just like your mom. Yeah! The burgers do not come in a burger bun though, but in a bagel – of course! (there are about five bagels to choose from). The weather was exceptionally mild for a Fall day, and we choose to sit outside on the terrace, which was quite nice. 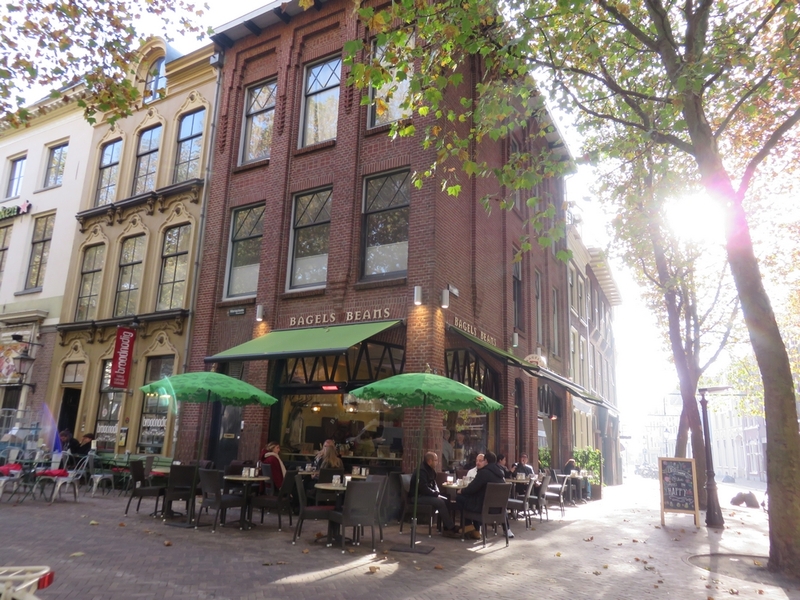 The Bagels & Beans in thye city center of Utrecht is located on a nice quiet square, close to the music conservatorium (we could sometimes hear someone playing the paino!). Table spacing inside seemed quite cramped and close together, so we were glad to be able to enjoy the midday Fall sunshine outside. 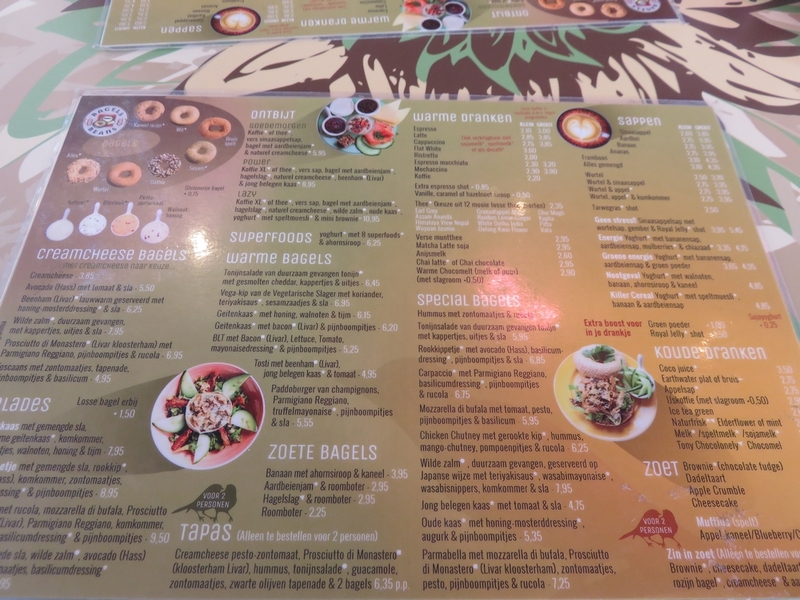 We choose the recommended algae Chlorella bagel for the Dutch weedburger (9,50€) and the suggested Oathie bagel for the Chili burger (7,50€). Next to that we also ordered a bagel with vegan ‘chicken pieces’, cilantro and teryaki sauce (6,95€). 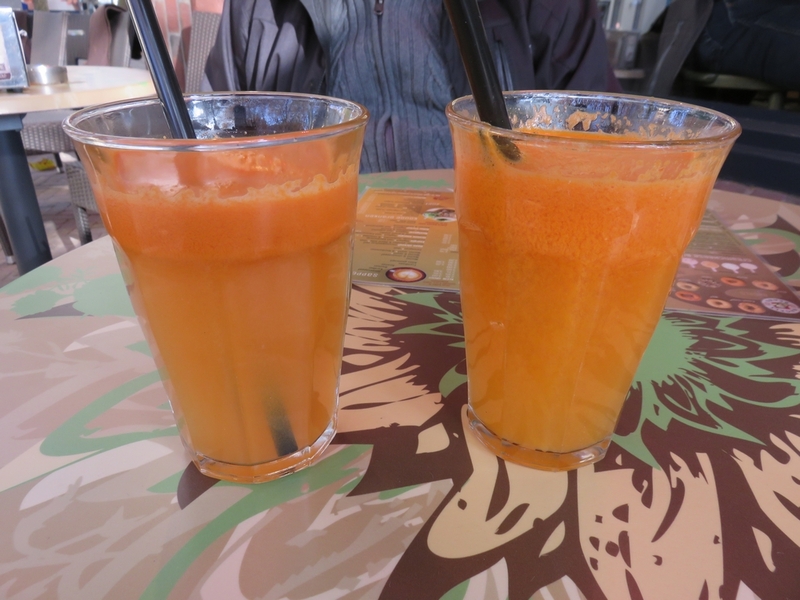 For drinks we had a freshly pressed carrot/apple and carrot/orange (each 3,95€). Drinks came quickly, but it took quite a while (more than half an hour) for our lunch order to be served. The Chlorella bagel is not so greenish as the chlorella bun (see photo) which is normally served with the Dutch weedburger, so that was a bit of a surprise (and a slight disappointment). Although it all tasted quite nice! Drinks were also nice and refreshing. The food looks amazing, I wish that vegan burgers where I live looked that good! Looks fantastic. Makes me wish I were planning a trip to the Netherlands soon!